Mount Franklin Trail is often the entry ramp for hikers tackling the Greenstone Ridge Trail. From a junction with the Rock Harbor Trail, it runs 2 miles to the ridge, passing the Tobin Harbor Trail along the way. Mount Franklin, with its incredible views, is actually 0.3 mile west on the Greenstone Ridge Trail. 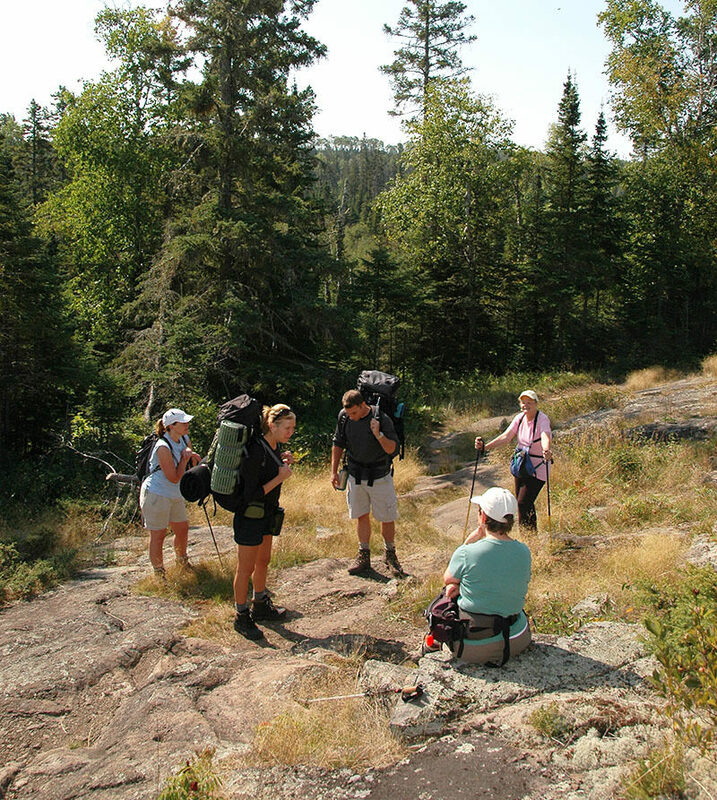 But the trail also serves as a leg of a popular day hike for visitors staying at Rock Harbor. Mount Franklin Trail is often the entry ramp for hikers tackling the Greenstone Ridge Trail. From a junction with the Rock Harbor Trail, it runs 2 miles to the ridge, passing the Tobin Harbor Trail along the way. Mount Franklin, with its incredible views, is actually 0.3 mile west on the Greenstone Ridge Trail. But the trail also serves as a leg of a popular day hike for visitors staying at Rock Harbor. They combine the Tobin Harbor Trail with a portion of Mount Franklin and Rock Harbor trails for a 6.5-mile trek that rarely leaves the shoreline. Mount Franklin Trail begins 0.2 mile west of Three Mile Campground at a well marked junction along the Rock Harbor Trail and makes a steady climb to the crest of the Greenstone Ridge. At it’s junction with the Greenstone Ridge Trail, Lane Cove Trail winds 2.4 miles to the secluded Lane Cove Campground. 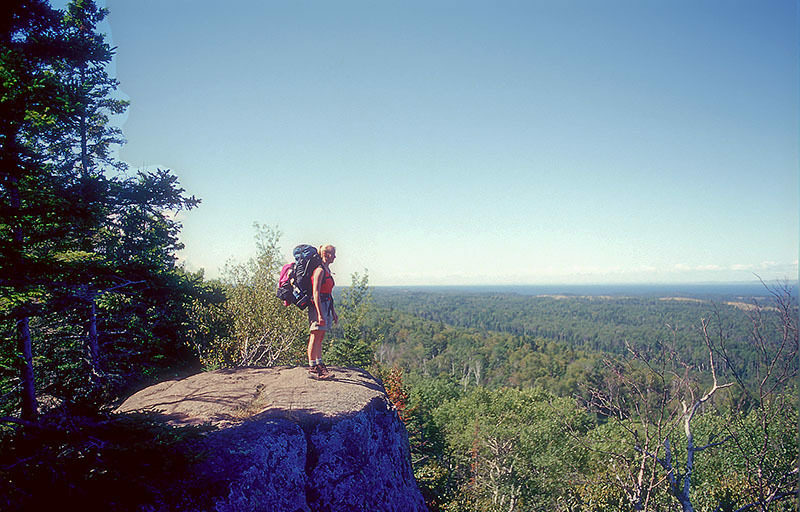 West on the Greenstone is Mount Ojibway (2.8 miles); the junction of the trail to Lookout Louise is 4.8 miles east. Mount Franklin is not really a mountain but, rather, a rock bluff along the Greenstone Ridge, but at 1080 feet, it's high enough to provide a superb view of Canada and the north side of the Island. 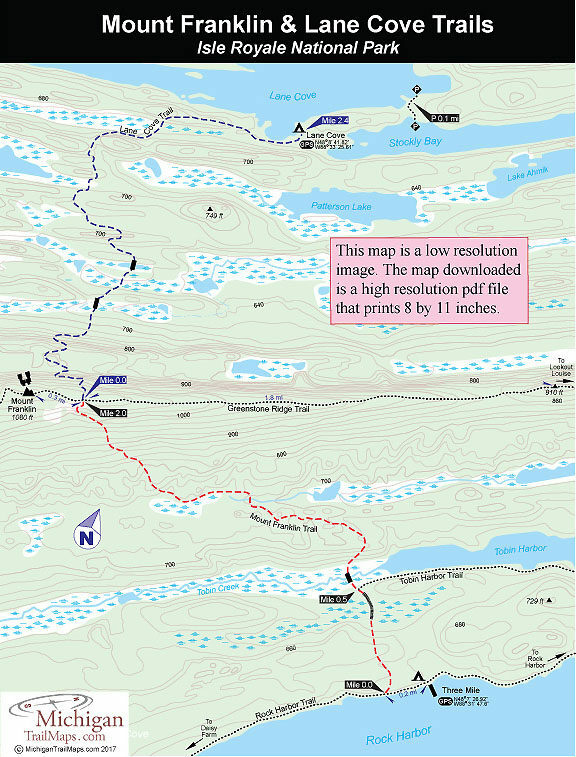 Mount Franklin Trail is covered with maps in Isle Royale National Park: Foot Trails & Water Routes by Jim DuFresne. To order the 184-page guide to the wilderness island, Click Here. Shower tokens, clean towel, and bar of soap can be purchased at the camp store at Rock Harbor or Windigo. Most hikers reach Mt Franklin Trail via the Rock Harbor Trail or Tobin Trail from Rock Harbor. To reach Rock Harbor and Isle Royale National Park there's the Isle Royale Queen IV (906-289-4437; www.isleroyale.com), a ferry that departs from Copper Harbor.